The following is a brief explanation of the Early Purchase Programs that afford those not quite ready to move in immediately an opportunity to take advantage of exceptional lot selection, home pricing, and financing rates NOW. These programs are subject to availability. This program allows you to purchase and close on your new home and then lease it to us for use as either a Model or a Guest House for up to one year. While you may be eligible to receive certain tax benefits such as depreciation, deduction of mortgage interest, deduction of travel expenses to check on the home, and other similar write-offs, we assume responsibility for the lawn care, utilities, and other ongoing expenses related to the community and the home. Any mortgage payments, homeowners insurance, etc., would remain the responsibility of the homeowner. This program allows you to purchase and close on your new home well ahead of your scheduled move-in date. You would either personally rent your new home to us, allowing us to do so under our rental management or leaseback programs. You may also be eligible for many of the same tax benefits as stated in the LEASEBACK PROGRAM above. 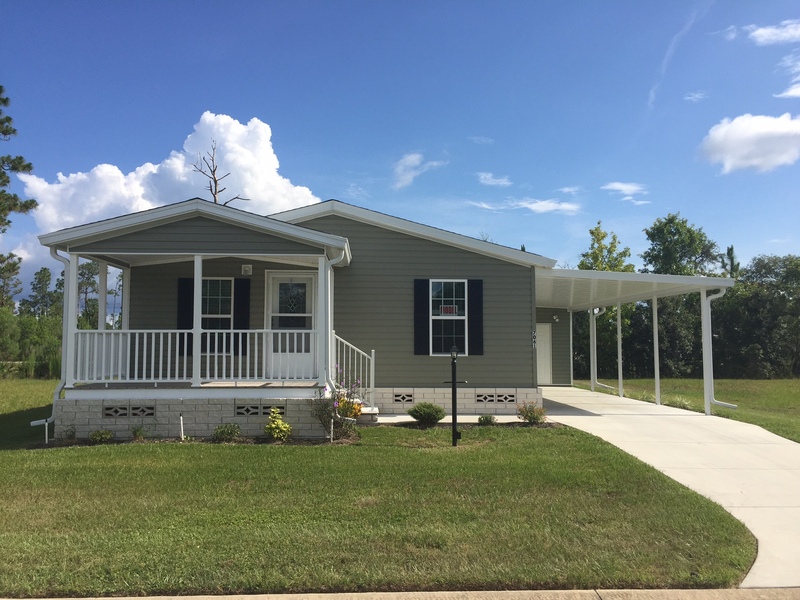 Purchase the Sam, a 3 bedroom 2 bath perfect for your Floridian lifestyle! Purchase your new home well in advance of your actual move-in, using one or a combination of the aforementioned programs and save thousands on both your purchase price and expenses. Purchase, then close on your home after a six-month delayed closing. Lease the home back to us for one year as a Model or Guest House, and then utilize the rental management program for one year. In this example, you would have enjoyed a superb lot selection, purchased the home of your choice at substantial savings, stretched your dollars and timing for 2 1/2 years, received significant tax benefits, AND reduced the overall cost of your retirement residence! The examples and programs mentioned are merely illustrative of numerous options available to those seeking assistance in realizing their Florida retirement plans. Additionally, as each case differs based on your personal tax situation, you should always seek the advice of your financial adviser prior to making a final decision regarding the program or combination of programs that would best meet your needs. We look forward to assisting YOU in your pursuit of the retirement lifestyle of your dreams at one of our affordable, award-winning communities.